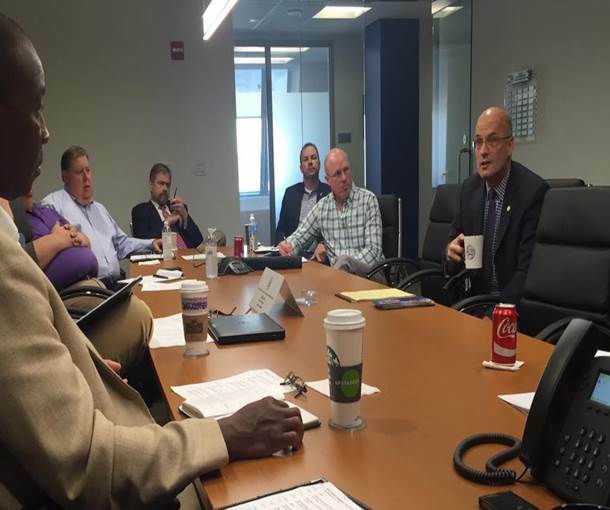 SMA’s Transportation Committee met in Washington, DC on September 22-23, 2016. The meeting featured a discussion with Daniel Elliott, Chairman of the U.S. Surface Transportation Board. Other agenda highlights included presentations from rail, truck, waterway, and scrap industry trade associations, a panel of DC policy experts, a discussion with a top official from the Federal Motor Carrier Safety Administration, and extensive discussions on the pending NPRM on commodity exemptions pertaining to primary metals.